Ipsy is the most popular beauty box of 2018—is it worth it? Five beauty products for $10 a month? Sign us up. Is there anything better than a beauty subscription box? Each month, a pretty package filled with popular beauty products gets delivered to your doorstep. These glorious little deliveries take the guesswork out of shopping for beauty products: Instead, a curated array lands in your mailbox like clockwork. 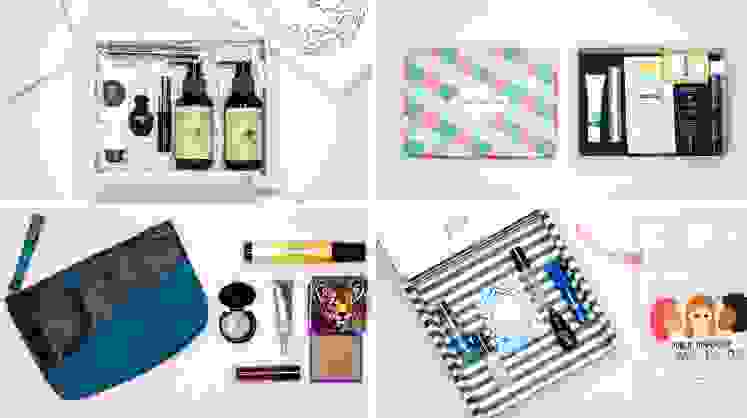 But Ipsy is one of the best-known subscription boxes on the market—each month, you’ll get a keepsake makeup bag filled with five beauty items (some sample-sized, some full-sized) for $10. It’s delivered by USPS to beauty-lovers all over the United States and Canada. With so many beauty subscriptions on the market, how does it stack up? Sure, it's the most popular one of 2018, but is it the best? At Reviewed, we tested the best beauty subscription boxes on the market, including Ipsy. Here's what we found. How does Ipsy compare to other beauty subscriptions? When it comes to beauty subscription boxes, The Big Three are Ipsy, Birchbox, and Sephora Play! They each send out 5 products a month for $10, and require you to fill out a beauty profile for more customized offerings. Products: What you’ll find in an Ipsy Glam Bag is a mix of trendy influencer picks, drugstore products, and a sprinkling of high-end products you might find at Sephora. The quality is middle-of-the-road with just enough luxury to keep your interest piqued: the Ulta of beauty boxes, if you will. Play!, of course, has the most luxurious products, and Birchbox is somewhere between, with an occasional inclusion of natural and indie products. Customization: Before you get your first Ipsy Glam Bag, you’ll answer a 16-question survey with questions about your preferred brands and products, level of expertise, coloring, and skin and hair concerns. Like Birchbox and Play!, each month’s bag is a surprise: you cannot cherry-pick specific items you want in your bag, and they send out many different variations of their bag each month. The one you get depends on availability and your denoted beauty preferences. Perks and benefits: Each month, you can gain points by rating the items in your Glam Bag, referring a friend, interacting with Ipsy’s social media accounts, and more. You can then redeem these points for select beauty products. Ipsy also offers exclusive member discounts and benefits—as an Ipsy shopper, you can buy beauty products directly on the website at a 10-30% discount. Shipping and cancellation: Glam Bags come like clockwork each month, and the website is easy to navigate, with helpful tutorials for each product—but cancelling your subscription with Ipsy is involved and irritating. You must cancel your subscription by 12 p.m. on last day of the month to avoid being charged for the next month’s bag. That’s standard. However, first you must actually find the cancelation page on-site (it's pretty well hidden). Then, Ipsy will email a link that you must follow through to confirm cancellation—otherwise, you’ll be charged. We much preferred Play!’s easy one-click unsubscribe. Ipsy offers a great way to try new products without much risk, but I will say that at first, I wasn’t particularly impressed by their products. In my first bags, I received selections that didn’t seem to match my denoted preferences (i.e. curly hair, dry skin) and a few complete duds like a shimmery silver eyebrow powder. The quality of products did seem to increase as my subscription wore on, with inclusions from Smashbox and First Aid Beauty, and I loved getting full-sized makeup brushes and fun products like a Lisa Frank themed bronzer. On my last month, I received a Tarte eyeliner, Glossier lip balm, and mermaid-themed highlighting brush— I was sad to cancel my subscription. Overall, Ipsy is a great makeup subscription, whether you’re looking to find a new favorite product, need to stock up on travel-sized cosmetics, or are looking for a great gift for the beauty addict in your life. For $10 a month and the ability to cancel without penalty at any time, it’s a no brainer.